The meter socket and test block section shall be equipped with rainwater drainage channel and overlapping equipment panels to ensure watertight design. 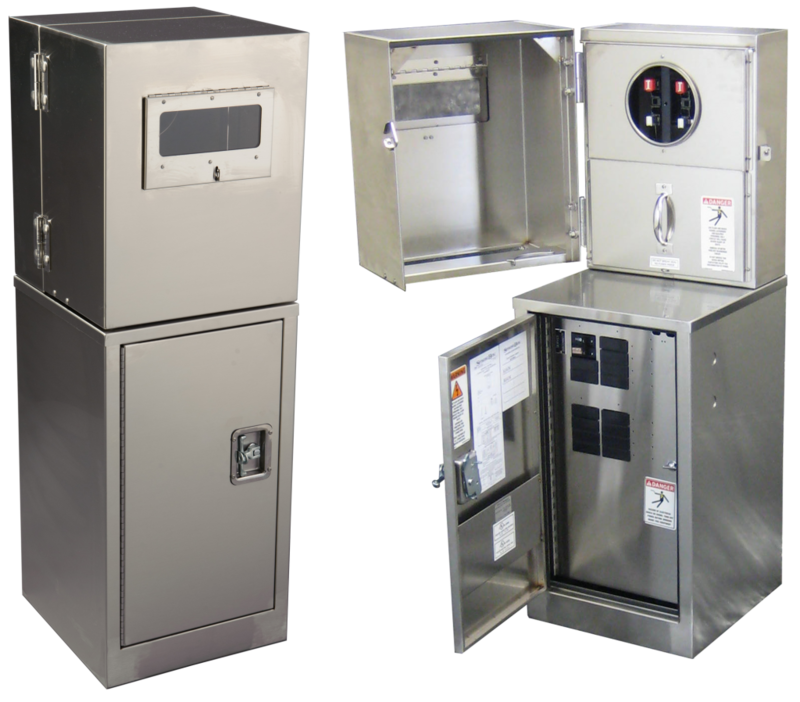 The meter socket compartment shall house EUSERC approved commercial meter socket and test blocks. The meter section shall accept ring style meter and meter face be attached to meter socket so meter face panel may not be removed without disconnecting meter bulb. 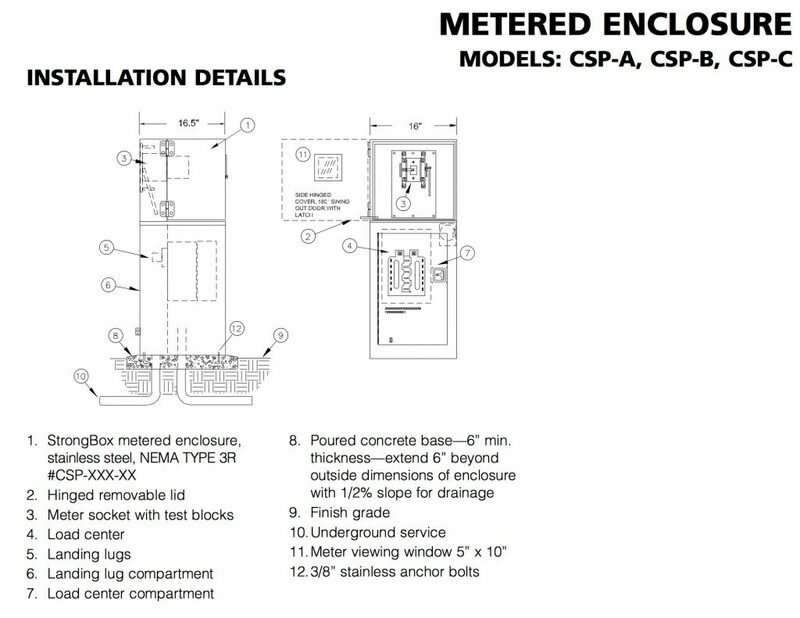 Meter section must be pad-lockable for safety as well as utility seal. The Utility landing section shall be the rear with a removable panel for full access to landing lugs. Landing lugs shall be aluminum type lugs using hexagon screws for tightening. A cover panel that will accommodate a padlock and utility seal shall be provided.